In March 2018, General Thomas D. Waldhauser, Commander of the United States Africa Command (AFRICOM), testified in front of the House Armed Services Committee, as he gave the command’s annual Posture Statement to Congress. Part of the importance behind military Generals testifying before Congress is to consider funding for various national defense and military operations. The National Defense Authorization Act for Fiscal Year 2019 was in question during this time, which eventually received the number of votes to be passed. The F.Y. 2019 defense spending budget is $716 billion, an $82 billion increase from 2017 and the highest at any time other than the height of the Iraq war. AFRICOM’s By, With, and Through strategy seems reasonable and promising, yet a careful examination of the U.S.’s past and present military operations undertaken by AFRICOM prove that the strategy is not effective. To read General Waldhauser’s full testimony, click here. General Waldhauser’s examination of the Sahel region is centered around the “African-led, French-assisted, and U.S.-supported” G5 Sahel organization, which includes the countries of Burkina Faso, Chad, Mali, Mauritania, and Niger. The stated purpose of the joint force is to “combat violent extremism within the region.” In 2017, Defense Secretary Jim Mattis stated that there are 1,000 personnel in the Sahel region. The reoccurring dialogue in this matter is that the U.S.’s role in this region in particular is “to advise, assist, and train African militaries,” but to not be involved in combat. However, one Department of Defense think tank noted how “It’s hard to say it’s not a combat mission when there’s the potential for conflict and combat as they accompany these African troops.” This reality is most clearly seen in the killing of four U.S. troops in Niger in October 2017. General Waldhauser gives a significant amount of attention to Niger in his statement. Aside from Niger’s internal governance and development issues, the presence of Boko Haram, ISIS-West Africa, ISIS-Greater Sahara, and other affiliated extremist groups are the driving forces behind the regional instability. The Department of Defense recently increased the scope and support of Title 10 of the U.S. Code, which outlines the role of the armed forces. It is left open-ended and with unspecified statistics, and there is still limited knowledge on the scope of U.S. intervention in Niger. There are an estimated 800 troops on the ground in Niger. However, General Waldhauser again claimed that “the U.S. military does not have a direct combat mission in Niger.” Outside of this, AFIRCOM has “provided training and equipment” to the Nigerien Armed Forces and “advises and assists” the Trans Sahara Counter Terrorism Partnership. Finally, AFRICOM is currently moving its drone base from Niamey to the city of Agadez, Niger. This is considered a pivotal development, as Agadez’s central location provides for surveillance over a larger area. Similarly, the U.S. military is training and equipping the army in Burkina Faso for counterterrorism operations and logistics. 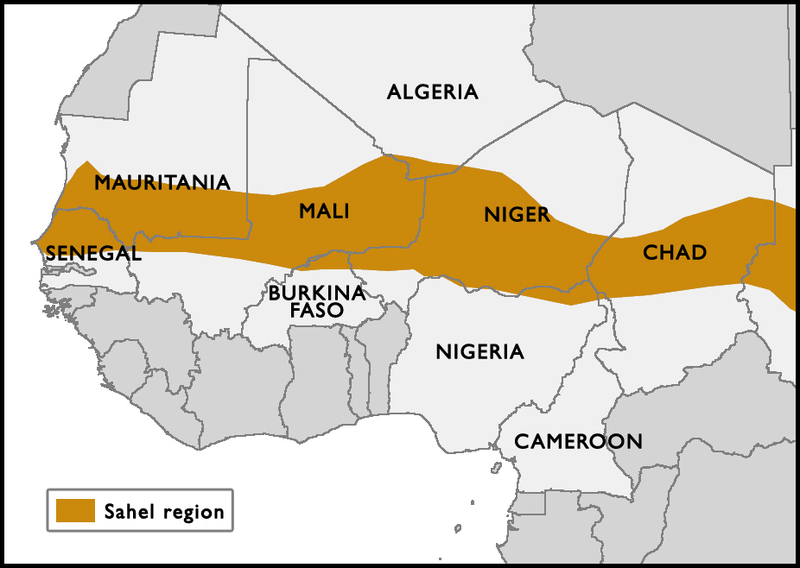 The country also borders Mali to the southwest. General Waldhauser mentioned two recent attacks in Burkina Faso in 2018, one on the Burkinabe Army Headquarters and the other on the French Embassy. Perhaps this will lead to increased activity and U.S. aid for our French allies in Burkina Faso. Finally, Chad is another important country in central Africa in terms of its geographical location, regional conflicts, and accessibility of U.S. military forces. In October 2017, the U.S. Army released a statement that it is “boosting its security efforts” in the region to help in the fighting against extremist groups such as Boko Haram and ISIS-West Africa. No explicit number of troops was mentioned, nor scope of military activity. General Waldhauser’s AFRICOM statement was similar, as he said that the U.S. is focused on “logistics, sustainment, and maintenance with the Chadian Special Anti-Terrorism Group (SATG).” Also, the U.S. military is providing intelligence, border surveillance and counter-IED capabilities, training soldiers, and equipping the National Army with sixty light armored vehicles.